From this Union Council there were two notable Generals in the Pakistan Army (General Riaz and General Anis), General Anis retired in year 2008.DEWAL BECAME MODERN VILLAGE DUE TO HIM ONLY. two Members of the National Assembly of Pakistan (Khaqan Abbasi and Shahid Khaqan Abbasi). 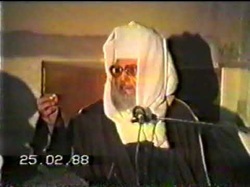 Peer Shb Dewal Shareef , due to the name n his teachings Dewal is known as Dewal Shareef. Joined Navy after doing FSC from Gordon college in 1960 and successfully fought the 1965 war, in which Pakistan Navy took a daring action against the 4 times larger navy of India(Hindus), and destroyed Dawarka, under the command of daring and dynamic leadership Admiral (R) H M S Chaudhary. He was another neat and clean naval officer, who was not at all involved in any corruption or to eat Harram or promote Harram practice. He successfully trained the Royal Saudi Arabia Hydrographic department, was the commanding officer of P N S Zulfiqar, which was commanded by his father in law and he was the first to have supervised the construction of one of the most modern hydrogrphic survey ship of Pakistan, which still is the only modern ship today, as navy after 1980's never thought to modrenize its survey fleet. A survey ship is the back bone for the naval war ships and submarines, without the survey, maps, and accurate weather forecasts, in today's technological era no navy can fight any future war. 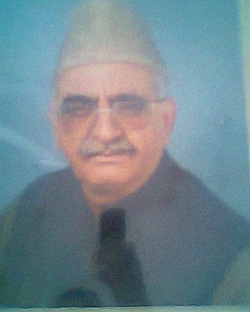 Captain was made Commodore in 1987 by the than Naval Chief, but having won the elections in UNO, where Pakistan's foreign minister Sabzada Yaqub Khan had lost the seat, it was vital for Pakistan to have its strategical and political presence in IHB, where India was always creating trouble for Pakistan. The than naval Chief Admiral(R) I A Sirohey, under the orders of President of Pakistan General(Late) M Zia Ul Haq, immediately released him from the navy, to take up the new assignment in IHB, to safe guard the interests of Pakistan and of its people, as he was holding the post of an ambassador of Pakistan in IHB, his rank of commodore was stopped, and Captain than took his new assignment in IHB. Over there, he successfully safe guarded the interests of Pakistanis and of muslims, and it was the time for India to pay back the price. 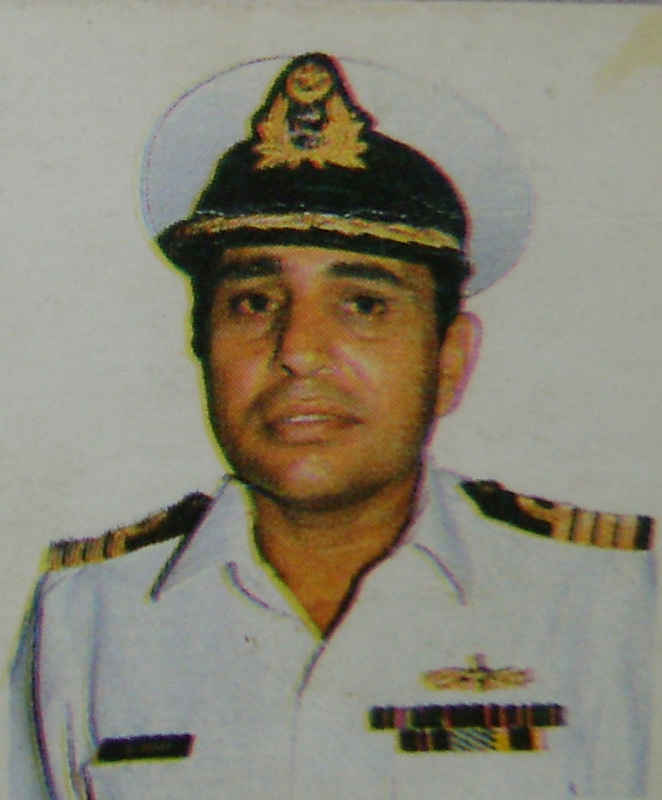 There he died while serving his great nation at the age of 47, a brave naval officer, who strongly advocated that navy should achieve blue water navy capability, and should neutralize the Indian navy growing capability sooner the better, as Indian navy would damage Pakistan again as they did in 1971. But unfortunately after his death, we have seen, this is not the case, infact, 6 man just walk into a naval base and hold 2500 soldiers under their feet. Sad to say that few corrupt naval officers have damaged the professionalism of navy, they are responsible for our defence, to think as soldiers, not as businessman. We hope they will fight wars, and not play it on table and fill up their pockets with few dollars. Hope they live honourably like Commander Gul Zarin, Captain I A Abbasi, and great Genral Riaz. He joined navy in 1941 and was the first naval officer and successfully fought the second world war, and was honoured with war medals for bravery by the British Empire. He got commissioned in the Royal Pakistan Navy from Royal Military Academy Sandhurst ( UK), and was holder of academy dirk. He was the first professional hydrographer of Pakistan Navy, who successfully commanded P N S Zulfiqar and was the main brain in the completion of Port Qasim and advocated strongly that Pakistan Navy should have another naval base in the west, inorder to strenthen the country's naval capability, he like his good friend Admiral H M S Chaudhary, were the advocates of blue waternavy, as being professional soldiers(not corrupt and unprofessional, like we have few officers today). He was the first base commander Titu MIr - Khulna, East Pakistan, and was against the military action against the civilians. He bravely denied the surrender orders from General Yahya Khan, and fought his way from the bay of Bengal back to West Pakistan. He held accountable number of corrupt/traitor naval officers responsible for the surrender of 1971, and wanted to court martial them, but former PM(Late) ZA Bhutto, didnt want that to happen, but Cdr (R) Gul Zarin, stood like a brve lion and got those traitors court martialed and testified before Hammod Ur Rehman commission, with evidences, that it was a conspiracy to break East and West Pakistan, an insiders job. The brave Commander was awarded SJ for not surrendering to the enemies, keeping high moral and ethical values, not opening fires on the civilians(during Marshal Law and disobeying the high command) and fighting all the way up, by breaking the indian naval blockade of the Bay of Bengal, who had the support of an aircraft carrier. The commander, never got the logistics and ammunition from West Pakistan to take the indian aircraft carrier, which he wanted to sunk in the Bay, and make it a crushing defeat for the indians, rather than Pakistani soldiers who were later disgraced within the country and the world. The brave commander, was very kind, generous, and helpful not only to his village people, but also to any one who belonged from Murree, Abbottabad and Muzaffarabad. He would go out of his way to help them, get them jobs, help them in setting businesses, as he was a very influential naval officer, not arrogant a down to earth man. A man who made the hydrographic department of Pakistan Navy, a man who raised Pakistan Navy to fight India, new that India was their enemy, he would not sign any peace deal with India nor would have compromised on the sacrifices made by our shuhada's, and sold their blood for few swiss accounts, a great and a honest soldier. 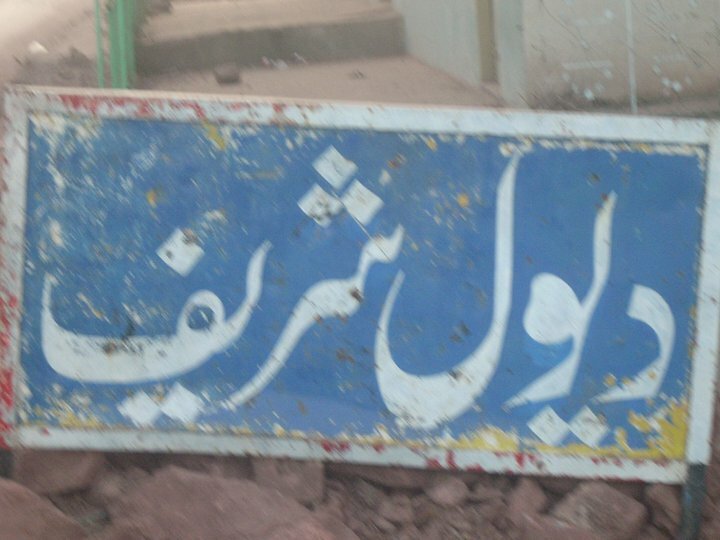 After giving resign from the navy, the brave soldier started the ship breaking business at Gaddani, and was one of the greatest ship breakers of Pakistan, but his life didn't last long and he died in 1978 at the age of 54. His sacrifices for the country would always be remembered. Pakistan, Murree and Pakistan Navy will always be proud of him. 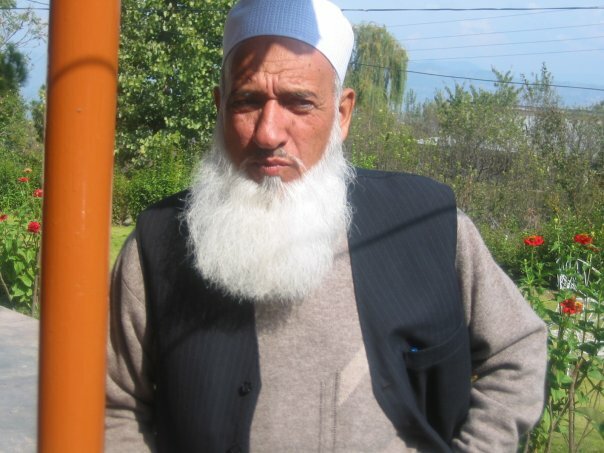 A neat and clean man, who could never think to eat Harram, a professional, honest and a brave muslim. A man with a vision. He made a great history of Pakistan and of Pakistan Navy. N.B:( Admiral H M S Chaudhary had professional differences with the than Field Marshall Ayub Khan over the pace of modernizing the Pakistan Navy, which led to his resignation - Admiral Chaudhary was a dynamic Naval Admiral, who was never involved in any corruption at all, a professional naval officer and his brother C M Latif (former owner of BECO Industries)got his son married to CDR Gul Zarin's daughter. Cdr Gul Zarin was father in law of Captain ( R ) I A Abbasi, the commander had great love and respect for his son in law. Gen.(R) Anis Abbasi is man of rule n success. Its all his efforts due to which Dewal become model village of Murree. 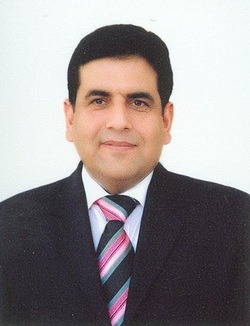 Gen. Anis Ahmed Abbasi, HI(M) served as Chief Executive Officer and Managing Director of Fauji Fertilizer Bin Qasim Limited from January 7, 2008 to January 25, 2011. 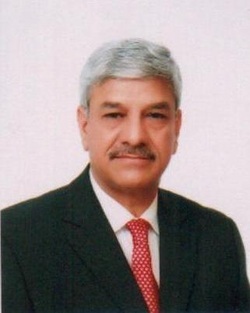 Gen. Abbasi served as Chief Executive Officer and Managing Director of Fauji Fertilizer Co. Ltd. Lt. Gen. Abbasi served as a Director of Fauji Fertilizer Bin Qasim Limited from January 7, 2008 to January 25, 2011. Rear Admiral Zafar Mahmood Abbasi SI(M) joined Pakistan Navy in 1971 as Naval Cadet. After completion of initial training he was selected for training at Britannia Royal Naval College Dartmouth in UK. Upon commissioning in June 1981, he was awarded the coveted Sword of Honor. He has also served as Executive Officer of a Type-21 Frigate. He was selected as the commissioning Commanding Officer of the first ever indigenously built Tripartite Mine Hunter PNS MUJAHID, and has also performed the duties of Commander 21st Mine Warfare Squadron. From Nov 2001 to Aug 2003 he commanded a Type-21 Destroyer. PNS KHAIBAR. 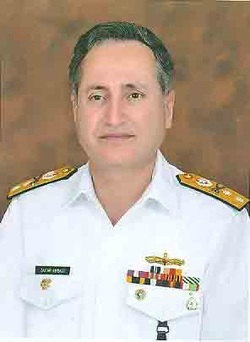 He has also served as Commandant Pakistan Naval Academy. From November 2005 to April 2007 he commended 25th Destroyer Squadron. His important start appointments include service as Fleet Torpedo and Ant Submarine Officer and Director Naval Warfare and Operational Plans. ACNS(O) an ACNS (Plans) at Naval Headquarters. He did his specialization in Under water Warfare from Pakistan and Surface Warfare from USA. He is graduate of Royal Australian Naval Staff College and qualified Armed Forces War Course form National Defence University, Islamabad. Presently, Roar Admiral Abbasi is serving as Chief Inspector (Navy) at Naval Headquarters, Islamabad. He is married and has a son and two daughters. 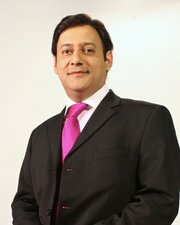 Dr Muhammad Najum Us Saqib, MD, USA ( Consultant ) Nephrologist. 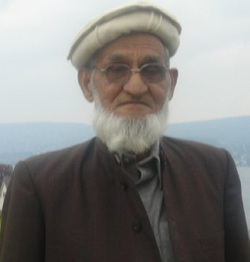 A graduate of King Edward Medical College and son of Cdr(Retd) Gul Zarin and brother in law of Captain ( Retd) I A Abbasi and cousin of R.Adm Z A Abbasi, did his studies from Karachi and Lawrence College, Murree. After doing FSC from Lawrence College Murree, he joined K E Medical College, and completed MBBS, by securing the top position, he was holder of numebr of gold medals during his studies. He got board position in Matric and FSC. Just like his honorable father and brother in law, the Doctor wanted to excel in the field of medicine and worked as registrar for around 10 years in UK, from where he did his MRCP and number of other diplomas in medicine. He is a very kind, generous, brave and a loving person. He got the training seat of Nephrologist in USA, again after securing the top position in the exams. A very intelligent and a family oriented person, we hope one day he will come to Pakistan and serve his country like his father, brother in law and his other cousins who are serving in the armed forces or in business in Pakistan. The country and the people of Dewal and Islamabad are waiting for him to come and share his knowledge and expertise here. We all pray for his success. He is married and has two sons and a daughter, settled in Allentown, USA. The people of village, country, and of Murree are proud of his achievements. Request an AppointmentDr. 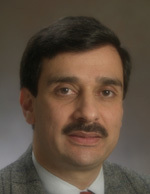 Mohammad N Saqib MD practices nephrology and internal medicine in Allentown, Bethlehem, Kutztown and Sellersville, Pennsylvania. Dr. Saqib graduated with an MD 26 years ago. Shahid Khaqan Abbasi the current Prime Minister of Islamic Republic of Pakistan is politically affiliated with the center-right party PML-N, where he is a senior leader. He is the son of Air Commodore (retd) Khaqan Abbasi, a prominent businessman turned politician who was a pilot in the Pakistan Air Force and the Federal Minister for Industries and Production in General Zia-ul-Haq’s cabinet in the 1980s. 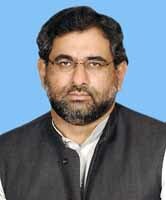 Khaqan was a serving MNA and Federal Minister in Zia-ul-Haq’s cabinet when he died in the Ojhri Camp incident in 1988. His son Shahid Khaqan Abbasi has built the Murree-Kahuta and Kotli Sattian area as their political stronghold, he won the general elections in 1988, 1990, 1993, and 1997, the latest one being in 2008. From 1990 to 1993, he performed his duties as the chairman of National Assembly Standing Committee on Defence. Shahid Khaqan Abbasi was imprisoned by the General Pervez Musharraf government, as he was the Chairman of the PIA, when Musharraf's plane was denied landing at the Jinnah International Airport, Karachi on his way back from Sri Lanka on October 12, 1999. The government put pressure on him to give a testimony against the then Prime Minister Nawaz Sharif, but Abbasi refused. He was imprisoned for around two years before being acquitted of all charges in March 2001. In the 2008 general elections, Shahid Abbasi was again elected a member of the National Assembly of Pakistan from the traditional Abbasi constituency of NA-50 Rawalpindi-I (Murree-Kahuta area). 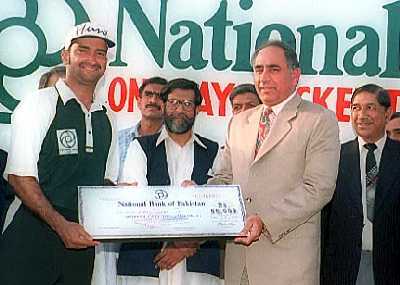 He was then made the Federal Minister of Commerce in the Yousaf Raza Gillani cabinet. 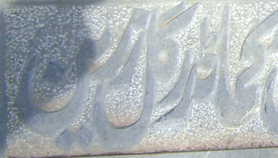 Advocate Zulfiqar abbasi was the first advocate of Murree. 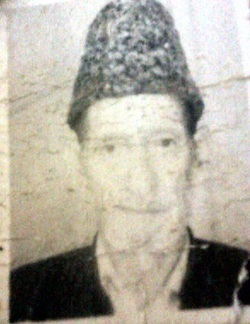 Sufi Muhammad Zubair Abbasi is one of the oldest political leaders of Dewal Shareef and also one of the companions of Khaqan Abbasi Shaheed. 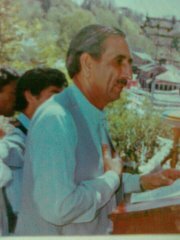 Raja gul nawab Abbasi,x-chairman of UC Dewal Sharif and x-president of muslim league.He is a muslim leaugi by birth and he was ellected as a logestic member of uc dewal in early 80s. 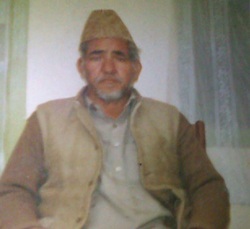 He is uncle of Vice Adrimal Zafar Abbasi. Rja Irshad abbasi belongs to the PPP.He was ellected as the member in local body elaction two times in 1980 and 1985.He was member of logislative asambly of PPP Murree.His Son in Law Brdg. Musaddiq Abbasi is DG NAB nowadays. He was a founder member of PPP UC Dewal Sharif.He meet Shaheed Zufiqar Ali Bhutto one 2 one.Once in the ellection in UC Dewal he loose just with 1 vote and this was the first and the last time in the history of Dewal Sharif. An Exective In Pakistan's Largest Hoteling Group. Javed Malek is a Pakistani businessman, corporate lawyer, and noted media personality based in the UAE.